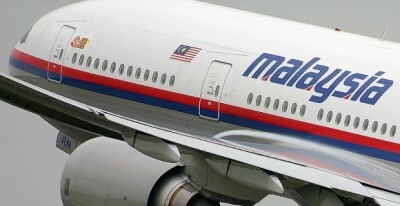 It was a Malaysian jet, carrying Malaysian passengers, flown by Malaysian pilots, yet after Malaysia Airlines flight MH17 was shot down over Ukraine in July 2014, Malaysia has been systematically blocked from participating in the investigation, leaving an overwhelmingly pro-NATO bloc in charge of the evidence, investigation and outcome as well as the manner in which the investigation will be carried out. Despite the integral role Malaysia has played during several pivotal moments in the aftermath of the disaster, it appears that the closer to the truth the investigation should be getting, the further Malaysia itself is being pushed from both the evidence and any influence it has on the likely conclusions of the investigation. With the downed aircraft in question being Malaysian, Malaysia as a partner in the investigation would seem a given. Its exclusion from the investigation appears to be an indication that the investigation’s objectivity has been compromised and that the conclusions it draws will likely be politically motivated. With the Dutch leading the investigation, the logic being that the flight originated from the Netherlands and the majority of the passengers were Dutch, it has formed a Joint Investigation Team (JIT). At the onset of its creation it seemed obvious that Malaysia would too be included, considering it lost the second largest number of citizens to the disaster and the plane itself was registered in Malaysia. Instead, JIT would end up comprised of Belgium, Ukraine, and Australia, specifically excluding Malaysia. Malaysia was both surprised and has protested its exclusion from JIT, and has repeatedly expressed a desire to be included directly in the investigation. The Malaysian Insider cited Malaysian scholar Dr. Chandra Muzaffar who believes the decision to exclude his country from the investigation is politically motivated, aiming at excluding members that may urge caution and objectivity instead of draw conclusions first and bend the investigation’s results around those conclusions. In particular, Dr. Muzaffar believes that the investigations is intentionally being skewed to target Russia. Ukraine’s involvement in the investigation is particularly troublesome. Had MH17 crashed in Ukraine under different circumstances, Ukraine’s role would be welcome. However, it was apparently shot down specifically in a conflict in which Kiev itself is a participant. With both sides of the conflict possessing anti-aircraft weapons and with Kiev itself confirmed to possess weapons capable of reaching the altitude MH17 was flying at when it was allegedly hit, Kiev becomes a possible suspect in the investigation. Kiev’s inclusion in JIT represents a monumental conflict of interest. Imagine a potential suspect leading an investigation into a crime they may have committed. The possibilities to cover up, skew, spin, tamper with or otherwise distort both the evidence and the outcome of the investigation are endless. And to compound this already glaring conflict of interest, it was revealed recently that an alleged “secret deal” was struck by JIT in which any member could bar the release of evidence. With all members of JIT being pro-NATO and decidedly arrayed against Moscow, such a “deal” could prevent crucial evidence from being revealed that would effect an otherwise distorted conclusion drawn by the investigators aimed specifically at advancing their greater political agenda in Eastern Europe. Had Malaysia been a member of JIT, the ability of other members to withhold evidence would have been greatly diminished and it is likely such a bizarre deal would not have been conceivable, real or imaged, in the first place. With the ongoing conflict in Ukraine perceived as a proxy war between NATO and Moscow, JIT’s membership including the NATO-backed Kiev regime itself (a possible suspect), two NATO members (Belgium and the Netherlands) and Australia who has passed sanctions against Russia over the conflict, is a textbook case of conflict of interest. Those nations and international organizations calling for an investigation and for justice but who ignore the obvious problem of participants in a conflict investigating a key incident that may benefit their agenda directly, indicates that such calls for justice are disingenuous and instead, what is being done is not an investigation, but a politically motivated witch-hunt aimed at serving an ulterior motive. Malaysia is not generally perceived to be a stanch ally of Moscow, but it is neither a loyal client state of Washington, London or Brussels. On many issues, Malaysia has exhibited an independence in foreign policy that has perturbed the so-called international order maintained by the West. And Malaysia’s internal politics have long wrestled to stem inroads by Washington’s favorites including Anwar Ibrahim and his political faction, Pakatan Rakyat. Its inclusion in the investigation would provide a much needed, impartial counterweight to an otherwise fully pro-NATO JIT membership. To casual observers, the current investigation led by NATO members and Kiev, a possible suspect, would be no different than the Donetsk People’s Republic and Russia leading it. Few would consider a DPR or Russian led investigation impartial, and few should see a NATO-led investigation as impartial. Had Malaysia been included in the process, an argument could have been made that an actual investigation was taking place rather than a complex propaganda campaign. Malaysia’s exclusion is a troubling sign for the victims of the MH17 disaster, meaning the true culprits will never be known. The overt politically motivated nature of the investigation will on one hand help fuel NATO’s propaganda war, but on the other hand, fuel the doubts of millions worldwide over the true events that took place in the skies of eastern Ukraine that day. Like so many other events in human history that took place amid a high stake political struggle, the downing of MH17 will be shrouded in mystery, mystery draped over the truth by the irresponsible leadership of NATO, and those in Washington, London and Brussels egging on the conflict in Ukraine to this very day.